Describe your role with the Green Roof Ordinance. BR: Essentially the founder I guess you could say. It really started when President Trump was elected, and Bernie Sanders messaging of getting involved locally really resonated with me. I looked to other cities to see what other people were doing versus what we were doing, which wasn’t much in terms of sustainability. I discovered Green Roofs, and it really matched with Denver’s Sustainability goals, so that’s what led to the pursuit of the Green Roof Mandate. They had an audit of Denver’s 2020 Sustainability goals during our campaign and realized they had no way of tracking anything or if they were meeting their goals. The city did not have a lot of resources either, so it was clear they were not going to reach those goals. Instead of doing something that went against their plan, I was intending to do something that would help with their plans. The city didn’t necessarily see it that way. What were some of the initial steps you had to take to get the ordinance going? BR: First off was getting the correct language together, which was pretty much taking something that already existed. In this case, modeled after Toronto’s code and try to adapt in here for Denver. I did that as best I could, I had some lawyers look at it pro-bono, and then it was filing it with the city to initiate a petition. That goes through a small process, starting at the director of city council and the city attorney, then they have a comment session where you try to explain what you are trying to achieve. They approve your language, whether it be with provisions or changes, and then from there you have to get your petition packets together and get those approved by the elections division, and they have to meet certain requirements. Once thats approved, then we just had to collect signatures. We had 180 days to collect signatures, and then we had to get 4700. The goal was to get double that, mostly for validity reasons. What was the experience like to find people to support the work you were doing? BR: That was the hardest part. After the wave of post-election marches, I connected with groups who wanted to take action on climate change. Two individuals that stemmed from these groups agreed to meet with me, and I shared with them the language and what I was trying to do. They helped get everything prepped and setup for our initial campaign kickoff party. The goal with that event was to educate people and recruit volunteers. We got 50 people to the kickoff, it was a good showing – everyone was really motivated after the election to get involved and do something. So that’s kind of where it started. After that kickoff party, the next weekend we were supposed to meet with volunteers to collect signatures and no one showed up, it was just me. It really was a terrible feeling, I had never done this before. So there weren’t that many people in the beginning, but it gave me the chance to practice my messaging. After that we targeted environmental groups, Greenpeace volunteered 10 people on their own time to help us get support. 350 Colorado also lended volunteers, as well as various neighborhood organizations. When it was all said and done, we ended up with 50-60 volunteers total, who were all collecting signatures to get it on the ballot. What were some of the difficulties in the process of getting it on the ballot? BR: Finding volunteers, usually people say they want to help and then they don’t show up. Organizing people was definitely one of the biggest challenges, and tracking down all of the collected signatures. I was doing all of it myself, from campaign finance to volunteers, so that took a whole lot of time and stress from always doing that. Where did you find the funding for the Green Roof Ordinance campaign? 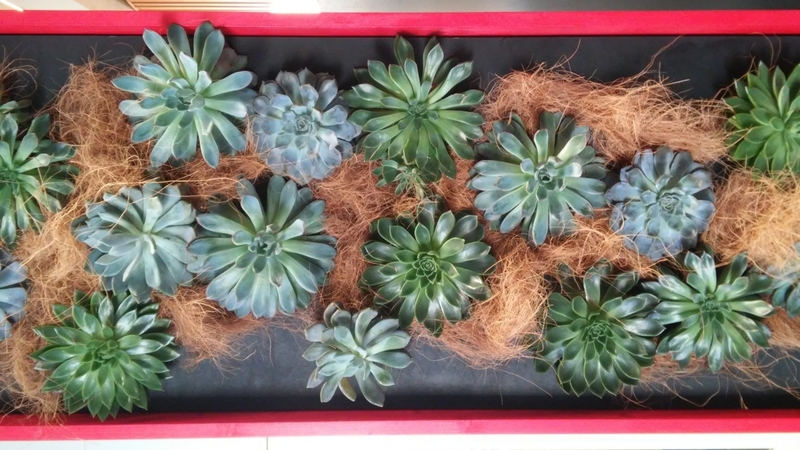 BR: We reached out to a lot of people within the Green Roof Industry at the CitiesAlive! conference, like the manufacturers, and they were supportive. It was really difficult to get donations, I think we raised about $20,000 throughout the whole campaign, which I had my doubts if that was enough. We ended up doing our best and putting the money in the right places, whereas once the opponents came out and were spending a quarter of a million dollars, it made me wonder if we had the means to do it. Those were probably the most doubtful times once the numbers were coming in. To our benefit, we stayed focused on executing one thing at a time, which was a huge help to staying organized and on-budget. What type of messaging was the most relevant and well-received? BR: It had to be the anti-development, citizens hate the developers here. They are building our city out, they are taking all of our green spaces and building curb to curb, so we really pushed that the developers need to do their fair share for the city. Essentially since they are the ones building it, they need to be doing more. Yeah, the climate was important, but anti-development and housing crisis and just everything combined put the developers in a bad light, and people saw this as a shot to take at that industry. To slow it down, and to make it more eco-friendly and livable and not just concrete. What we found to be successful was the pitch, when we included the fact that solar was also part of the ordinance, that tended to be a trigger for people to get engaged. BR: The developers hated it, and mostly because the general public didn’t know what a green roof was. I remember one time I was canvassing in the park, and one individual was confused and asked if our mission was to paint the roof green. Developers only understood that green roofs were super expensive, wherever they were getting their information from was really off-base. They were just mostly afraid of costs, which is understandable. Some of them had arguments that single story shopping centers were adversely affected, because they had a higher gross-floor area and not necessarily owned by a giant corporation, it could be owned by a mom-and-pop small shopping center, and they would have to pay the same amount as a 5 story commercial office building. They had great points, which is what led to the Task Force. Some of our wording was wrong, we used “retain” instead of “detain” for stormwater – which violates water codes for Denver. We were concerned about that. We had a clause for major structural alterations if you had to do that then you could get an exemption, and that was meant to be if you had to add new pillars or beams, but it was never officially defined so the city was defining it which was a grey area. It was clear there were real concerns with various building types and codes and logistics, so initially they were pretty afraid. Once they saw all the benefits and the real numbers, is when the bargaining for the Building Ordinance really began. 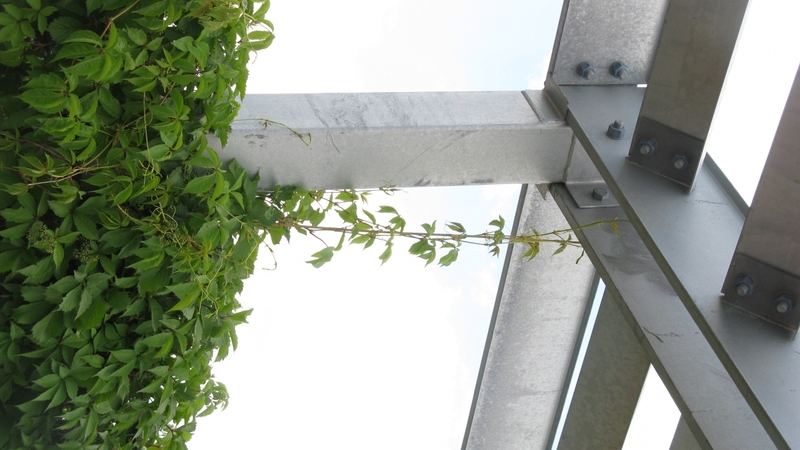 What are your thoughts on the Task Force’s role of the Green Roof Ordinance evolving to the Green Building Ordinance? BR: Essentially, I just did a copy + paste from Toronto’s policy. What works there doesn’t necessarily work here in Denver. Denver’s climate is harder for plants to grow, we need more arid plants, so design and implementation is really important. However it is great that buildings now have more options than just the green roofs. I think I would be worried that if they could only do green roofs, that we would see only basic tray systems and we would see them fail and now we have options to do this well. So, I think it is better in the end. Everyone came together to learn about the industry – green roofs, white roofs, climate concerns, so we could get everyone on the same page. They did a cost benefit analysis and really dove in deep into everything. If there was ever a question or concerns around various building types and logistics, we would always be able to address it by the next weeks meeting. Opponents were pretty afraid of the idea at first, but one they saw all of the benefits over time they realized it was not necessarily the end of the world. BR: I do, but it comes down to finding the messaging that you can receive signatures for. Even though the city might state it doesn’t have money for these types of systems, if the voters want it then they are forced to find a way. In the case of composting or new systems that potentially involve personal finances, it becomes a much more sensitive issue. Whereas greenroofs target growth and development which is something that indirectly affects citizens and does not affect individuals wallets. Do you believe Denver could be a model for other cities to follow suit to implement various sustainable initiatives under the umbrella of one or two policies? BR: Yeah definitely. At the latest Denver Sustainability Summit, the city acknowledged that this is going to be a model for other cities to follow, it has the potential to become Denver’s sustainability calling card. People are going to be asking about how they achieved this. What advice would you have towards individuals who would also like to implement sustainable systems at a grass-roots level? BR: Don’t take no for an answer! I got so much pushback and naysayers from trying to introduce this ordinance. I would reach out to all the necessary people and go through the proper channels, and I just got a lot of flat out no’s. Everyone was quick to discount the validity of green roofs in Denver, people didn’t want to hear me out. Many officials made excuses instead of really listening, so it just gave me more motivation to run the ballot initiative because clearly the citizens had the same sentiments. But now it is great, the opponents have all admitted after the fact, that now they are more open to talking about new ideas and listening to our citizens. I’m hoping this process has inspired others. Updated Green Roof Ordinance is now the “Green Building” Ordinance – what does this mean for the future of Denver? The Green Roof Ordinance at its inception was unprecedented. While modeled after Toronto, it was the first of its kind in the United States of America to be voted on by the local citizens, and adapted to quickly into the political infrastructure. 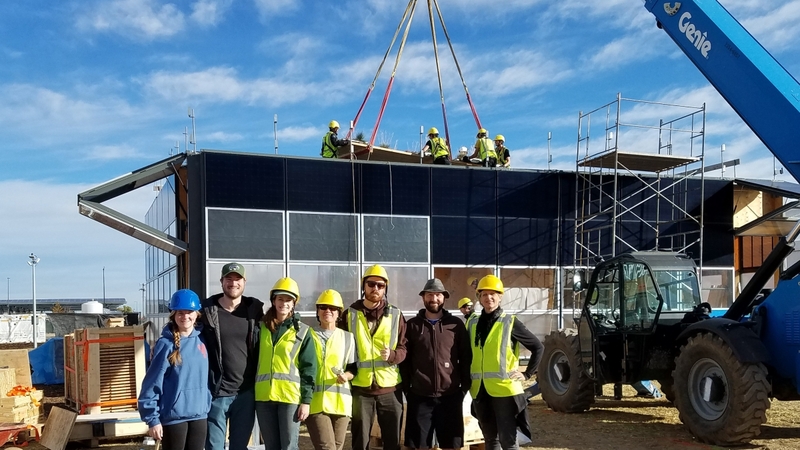 It showed that the people of Denver care about seeing their city become more sustainable and empowered individuals to feel that they were taking climate action. The Green Building Ordinance, on the other hand, highlights how elected officials, local professionals, and concerned citizens can work together in achieving progress of implementing environmental standards in an thriving, urban setting. 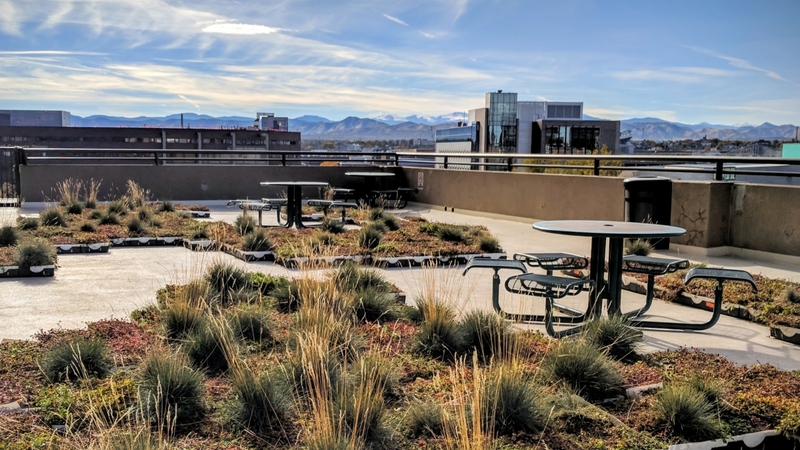 Denver Green Roofs – Website for the Original Ordinance to inform citizens on the details and specifications of the mandate that appeared on the 2017 ballot. 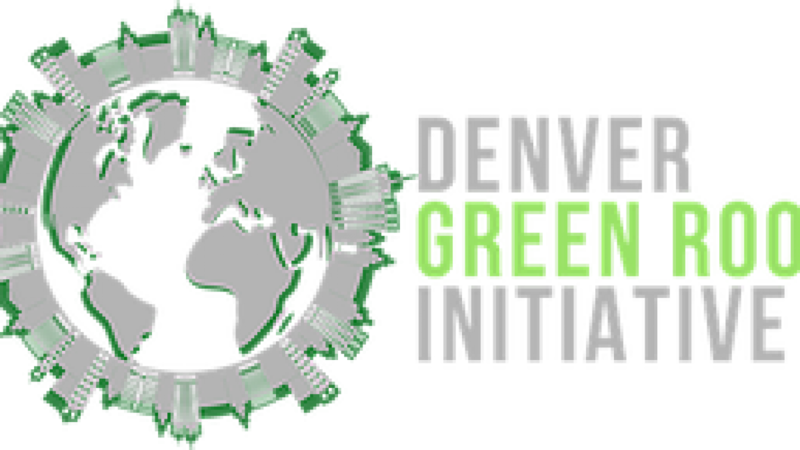 Denver Green Building Ordinance, City and County of Denver – Official city website regarding updated ordinance details and building codes. Permit information, ordinance outline, and Task Force memos can be sourced here. Office of Sustainability, City and County of Denver – Official city website regarding Mayor Hancock’s 2030 Sustainability Targets. Green Roof Healthy Cities – Website for the Non-Profit, which provides accreditation for Green Roof Professionals and sets the standard for Green Roofing practices in the United States.